RIDGEFIELD — On the one month anniversary of the school shooting that claimed 17 lives in Parkland, Florida, dozens showed up for a Safety Night Open House at the Ridgefield High School commons. Kimber Webb, a mom with two kids at Union Ridge Elementary, was one of the key drivers behind the event. Ridgefield School District is one of only a few in the area that has a contracted security guard, rather than contracting with local police. McCann says they’ll be adding a second armed security guard next school year. 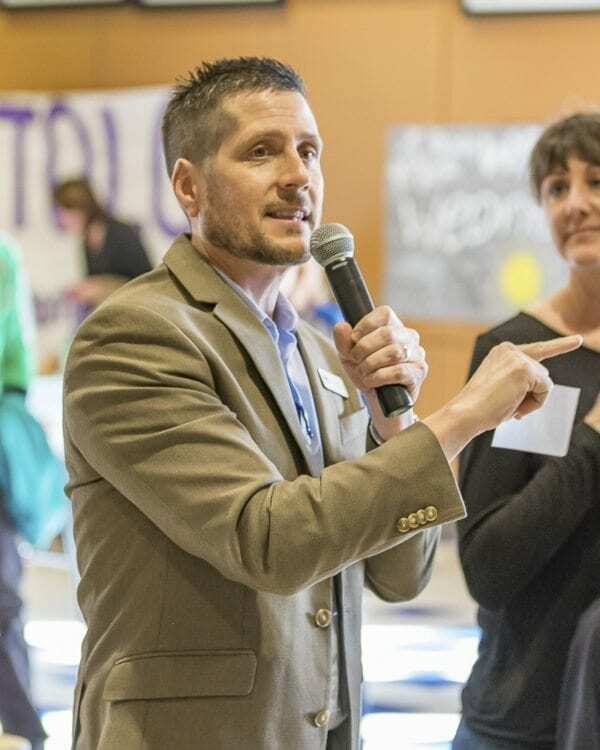 The recently approved building bond for Ridgefield will include safety upgrades at the district’s elementary schools, and the new building that will house View Ridge and Sunset Ridge is also being built with safety in mind. But the people we talked with didn’t mention the physical safety improvements or added armed security as their keys to keeping kids safe in Ridgefield schools. Kelly MacDonald is the new principal at Union Ridge, and she says they have put a lot of focus on communication between students and staff, and between the students themselves. 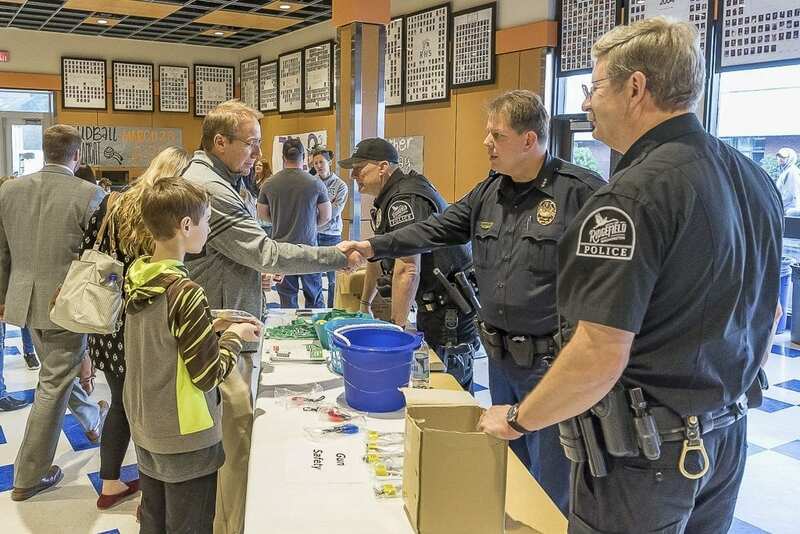 Todd and Noah Swenson meet with Ridgefield police officer Craig Wattson, Chief John Brooks, and Lt. Roy Rhine at Wednesday’s Ridgefield School Safety Open House. Photo by Mike Schultz. The schools have implemented a system they call ROCKS, which stands for Respect, Ownership, Community, Kindness, and Safety. Noah Swenson, an 11-year-old 5th Grader at Union Ridge, says he notices kids working harder to be inclusive and aware of what’s happening around them. Noah says the shooting in Parkland, FL was talked about with his family, but is an especially frequent topic of conversation in the classroom. Webb agrees, saying Parkland was just the most recent example in a trend that’s left her feeling increasingly nervous. Ridgefield police were also on hand, and focused on gun safety at home. They were handing out free trigger locks for anyone who didn’t already have one. 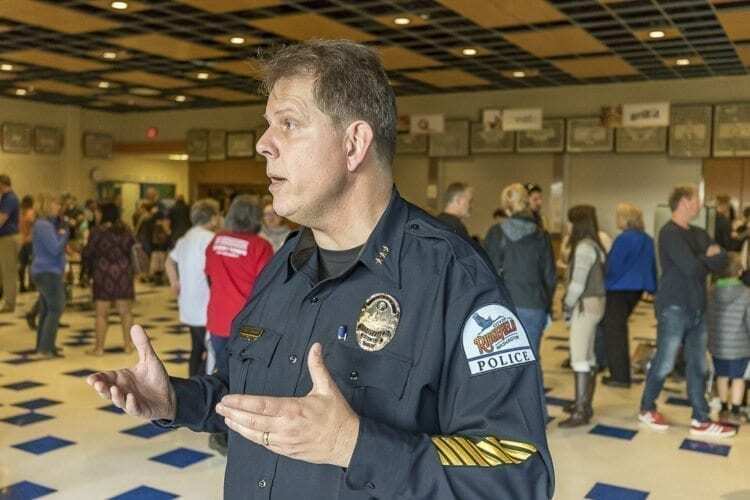 While Ridgefield police don’t currently have a school resource officer in the district, Brooks says he’s hopeful that will change in the future. In the meantime he says they have a close relationship with the district, and work hard to get ahead of any threats or concerning behavior. 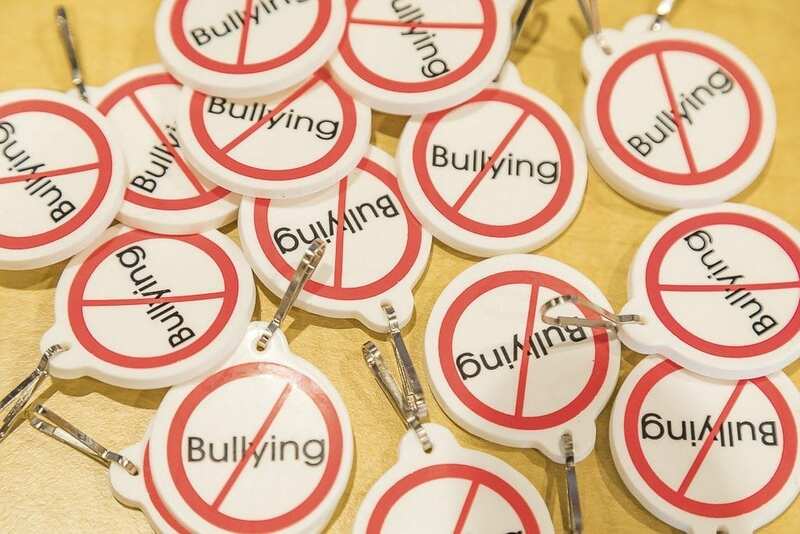 At the Safety Night Open House a lot of attention was paid to bullying, and efforts to stop it from happening. Swenson says he doesn’t see a lot of bullying in his school, but when it does happen he feels like teachers and other students have done a good job of supporting the victims and making sure to report the incident. Chief Brooks says in the wake of Parkland, and the signals that were apparently missed, he has had conversations with his officers about making sure they’re paying attention to the details and not discounting any possible threat. 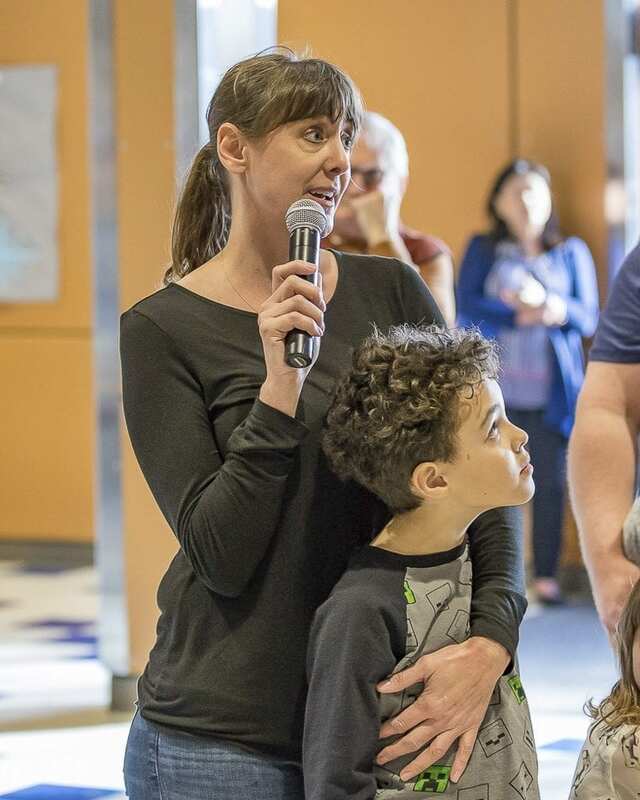 As kids across the country were walking out of class on Wednesday to demand gun reform, Kimber Webb was just hoping to start a conversation … about having a conversation.